How do you imagine the agriculture of tomorrow? Labor shortage, productivity, animal welfare, environment… enormous challenges await pig producers in the coming years. Ro-Main, a 20-year old company located near Quebec city (Canada), decided to support farmers by developing a new range of products incorporating artificial intelligence to meet the requirements of the future. Ro-Main continues in its desire to create a synergy between animals, humans and their environment by launching 3 software modules for pigs and 2 for sows*. By means of a network of cameras adapted for pig farms, deep learning algorithms analyze the video streams and translate them into individual behavioral metrics. The analysis of these metrics provides a better understanding of each animal’s specific needs, automates certain tasks and ensures better decision-making. The Ro-Main smaRt suite for pigs includes the smaRt Pig Counting module that automatically counts pigs in a corridor, eliminating the need to manually count animals for receptions and shipments. The smaRt Pig Inventory module takes real-time inventory by pen, while the smaRt Pig Tracking module tracks and analyzes each animal’s behavior 24 hours a day, 7 days a week. This module is an essential tool for the analysis of individual behavior by veterinarians, researchers and other professionals. 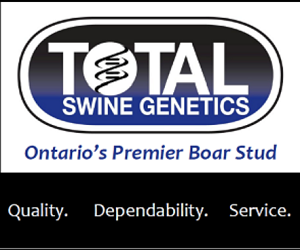 The Ro-Main smaRt suite for sows includes the smaRt Sow Breeding module that determines the optimal moment to inseminate; thus resulting in an accurate single-dose insemination. Finally, the smaRt Sow Health module uses the behavior of sows to detect health problems early. *All modules are independent and work with the Ro-Main smaRt Cam network of cameras. Patent Pending. Official presentation of the Ro-Main smaRt suite at the EuroTier from the 13th to the 19th of November 2018. Sales starting February 2019. Pre-orders start on December 10, 2018. Since the launch of PigWatch system in 2009, Ro-Main has combined artificial intelligence and pig farming: The combination of technology and animal science deserves to be exploited to better manage our farms. We believe that the Ro-Main smaRt suite will simplify the life of producers by allowing them to continuously, in a non-invasive way, analyze the behavior of their herd! – Jacquelin Labrecque, R & D Director.